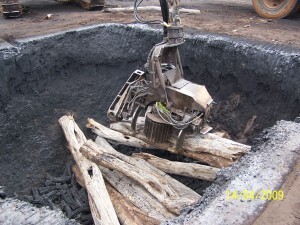 Biochar Project is dedicated to creating a biochar industry and what better way than to help people understand biochar. Here is a request I received on my comments page which has sparked this post. Thankyou Robert. 6.5 ft by 4 ft by 2.5 ft tall. The pit will hold 32 cu yds of mass. Before learning about biochar I used it to burn yard trash. Can’t do that now. We are under a burn ban because of the drought Don,t want to set the county on fire nor make the sheriff unhappy. Thanks for your work and time. Ok this one is a nice easy one. In Australia we have a pioneer Charmistress here name is Karen Siepen and she works with pit kilns on a larger scale. I read about her in the Biochar Book called Biochar revolution by Australian Paul Taylor PhD. Her website is http://www.rcra.com.au . So basically all you need to do is cover your pit with roofing iron we call it corrugated iron and allow a chimney or vent at one end to draw the smoke out and a vent at the other end to let the air in. Step 2 is to start a pre-burn. A pre-burn is a thin covering of solid timber on the bottom of the pit which is set alight and allowed to reduce to glowing coals. Step 3 Dump the load of wood on top of the coals. Step 4 Cover the pit with roofing iron and allow gaps at either end for air to be drawn into the fire. The air will be drawn down to the level of the coals and then will escape out the other side. Step 5 Is to seal any gaps with sand or dirt and only allow the 2 gaps you made to remain. Step 6 once the main load of wood is charred the pit will have more room at this point you can add more wood and continue the process until the pit is full of charcoal. 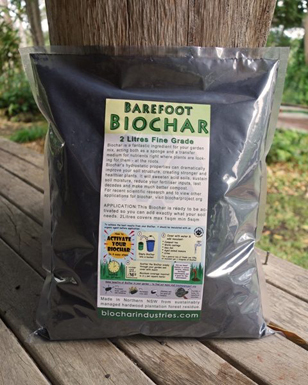 Next post: Biochar, Science, PhD and all that jazz.